Bay Area home prices continue to rise and at a rapid pace, according to new numbers released Tuesday. Data from real estate company Zillow shows the average home in San Jose increased at a rate of nearly $100 per hour of every work day last year. In San Jose's Willow Glen neighborhood, one home for sale served as a symbol for rising home prices in the area. 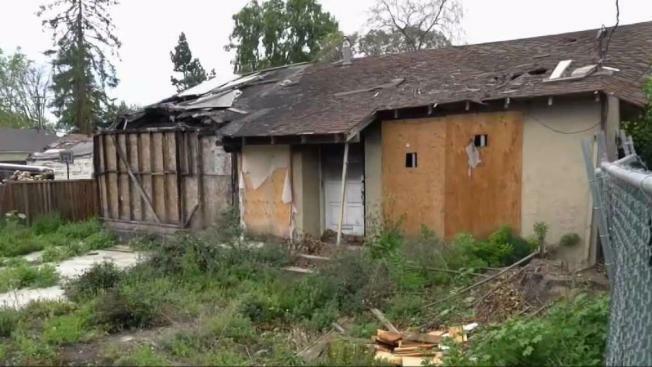 The "fixer-upper" on Bird Avenue, completely gutted by fire, is priced at $800,000. The realtor for the home on Wednesday said they received an offer above the asking price. "It’s a lot to pay for the land," neighbor Joe Becher said. "But in this area, it’s a good value." Zillow estimates homeowners in San Jose gain nearly $571 in equity every day. Over the course of a year, that adds up to just over $200,000. Sacred Heart Community Services spokesman Darren Seaton worries what the continued boom in the housing market is doing to the average working person, including teachers. "A home looks like it makes more than a schoolteacher here in San Jose," he said. "As housing continues to skyrocket, it's going to make it more difficult to survive in Silicon Valley." One reason for the skyrocketing cost of housing is that there are few homes on the market right now, real estate experts say. Buyers are competing against each other for the low inventory. "They’re getting rejected time and time again because the bottom line is price," said Rebecca Gallardo of Intero real estate. The Realtor for the Bird Avenue burned out home said she’s getting quite a few inquiries on the property. If someone buys, rebuilds then sells, they're looking at a potential quick profit of about $300,000.